A number one priority of all companies is to ensure the safety of your staff, clients, students & general public! Safety signs & decals can help keep everyone on your work site aware of any potential dangers. Here at Signarama Troy / Metro Detroit we have a ton of experience helping manufactures in the Detroit area focus on their safety signs & decals. 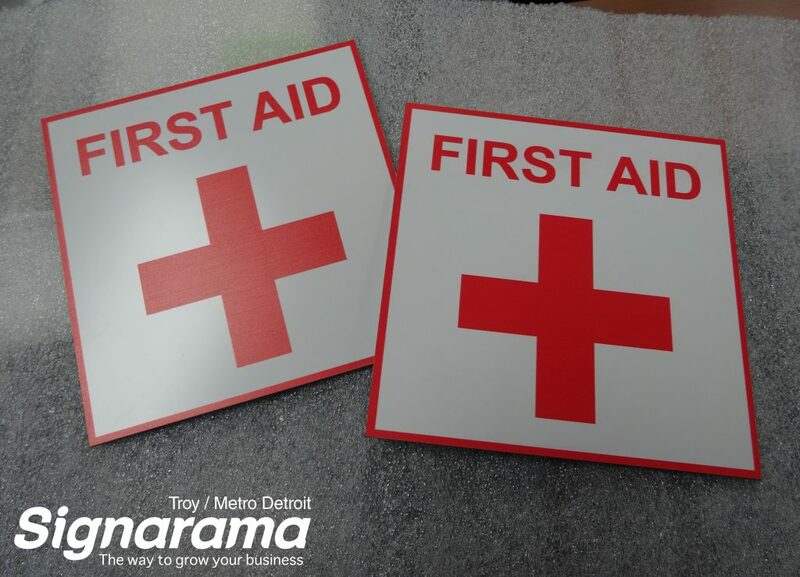 If you are working on your ISO Certification signs in Metro Detroit or are simply looking to improve the safety level of your facility, contact Signarama Troy today & we will make sure that you & the safety of your employees & customers are taken care of!